Invented in 1927 in Racine, Wisconsin, the InSinkErator was the world's first household garbage disposal. Now a common household appliance, the InSinkErator helps get rid of foodstuffs that would otherwise stink up the house while sitting in the garbage can. As with any mechanical device, even with proper care and maintenance, things can go wrong with a household garbage disposal. 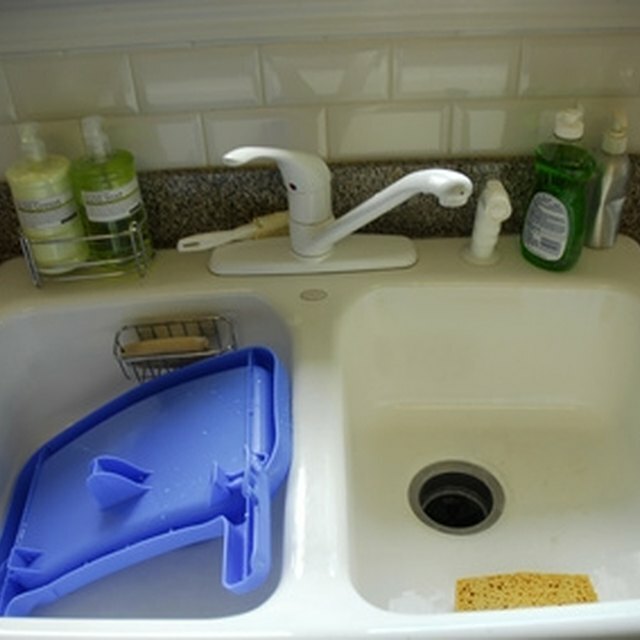 There are things that the do-it-yourselfer can do to both prevent and repair a broken disposal. The garbage disposal is a popular device in modern houses and apartments. Look inside the sink cabinet at the bottom of the disposal. Look for a hole in the center that fits the Allen wrench. Insert the wrench and spin the InSinkErator with it until the disposal can move freely. Check the red reset button on the bottom of the disposal to ensure it is depressed. Turn the faucet on cold and turn on the InSinkErator. If it runs but it sounds like something is jumping around in it, remove the jammed item with a pair of tongs. Remove whatever foodstuffs or foreign object is in the disposal with tongs. Do not use your hand. Check your fuse or breaker panel to ensure that a fuse wasn't blown or a breaker tripped. Press the small red reset button on the bottom of the InSinkErator, inside the sink cabinet. It should sit flush with the bottom of the disposal when reset. Throw orange or lemon peels and a few ice cubes in the disposal once a week help alleviate odor. Run cold water for a few seconds before and after operating the InSinkErator. Never put your hand in the disposal, even if it is switched off. Always use a tongs to remove a blockage. Based out of Fargo, Van Lancaster has been writing how-to and top 10 lists since 2008. He has been published on MadeMan and Screen Junkies, and also writes a column for a local publication. Lancaster holds practical experience in plumbing, electrical and building trades. He currently attends college, pursuing a liberal arts program.